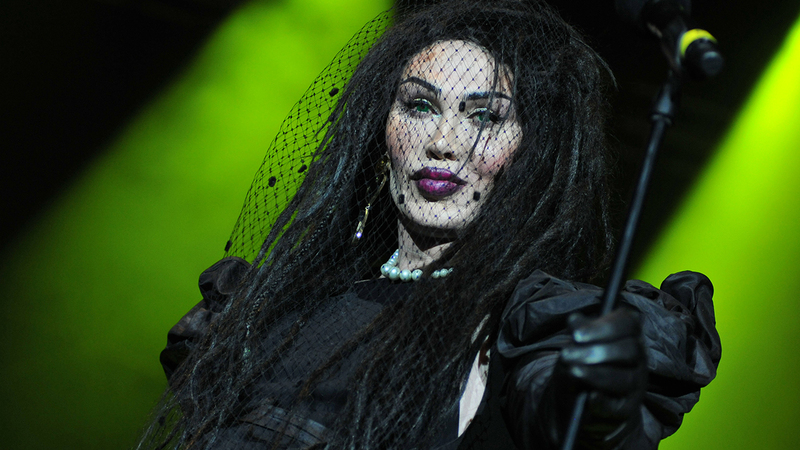 Pete Burns, lead singer of the 1980s British pop band Dead or Alive, has died. According to a statement from his management team posted on the singer's official Twitter account, Burns died Sunday of "massive cardiac arrest." "All of his family and friends are devastated by the loss of our special star," the statement read. "He was a true visionary, a beautiful talented soul, and he will be missed by all who loved and appreciated everything he was and all the wonderful memories he has left us with." A native of England, Burns was working in a record store before he founded a musical group called the Nightmares in Wax in Liverpool in 1979. The group was renamed Dead or Alive in 1980. The band scored a hit with "You Spin Me Round" in 1985. The video for the song showcased Burns' androgynous look. In 2006, Burns appeared as a contestant on "Celebrity Big Brother" in the United Kingdom. Burns also became well known for his penchant for plastic surgery. Viewers were shocked at the singer's new look in 2016 when he appeared on the reality TV spin-off show, "Celebrity Big Brother's Bit On The Side." "Twitter was inundated with remarks blasting the 58-year-old's 'surgically-enhanced' and 'caked on make-up' face," the Daily Mail reported. For his part, Burns said he loved plastic surgery and made music during the 1990s to fund his physical transformation. "I can honestly say since 1976 I have lived solely off music and TV, and I've had a very nice life," Burns said. "A lot nicer than some of my peers who've gone broke. I've had a very nice life. Very."